Michael R. Griffinger | Professionals | Gibbons P.C. Michael R. Griffinger – a Fellow of the American College of Trial Lawyers, the International Academy of Trial Lawyers, and the American Bar Foundation – has been an active litigator for over 45 years. His practice is focused primarily on sophisticated corporate and commercial disputes, securities litigation, and antitrust matters. He represents major United States and foreign corporations from numerous industries, including manufacturing, railroad, automobile, food, financial, telecommunications, and pharmaceutical. He is experienced in both jury and non-jury trials as well as class action and derivative litigation. Regularly included in the Best Lawyers® annual guide, Mr. Griffinger has been selected for inclusion by his peers in the 2018 edition in seven different categories. He has also been listed in the most recent editions of New Jersey Super Lawyers and Chambers USA and received the New Jersey State Bar Foundation’s Medal of Honor Award in 2013. Mr. Griffinger has conducted trials and hearings in federal and state courts in New Jersey, New York, Florida, Colorado, Pennsylvania, Delaware, Connecticut, California, and Nevada. Top tier for Commercial Litigation in Chambers USA Guide to America’s Leading Lawyers for Business. Mr. Griffinger has extensive experience in antitrust challenges facing the pharmaceutical, health care, consumer electronics, dyestuffs, and spray foam industries. Matters have included the controversial settlement of patent infringement claims between brand name and generic drug manufacturers under the Hatch-Waxman Act. Mr. Griffinger has also successfully represented a major pharmaceutical manufacture against antitrust allegations arising out of the practice of “bundled rebates,” achieving both the denial of a requested preliminary injunction and the dismissal of a related class action. Mr. Griffinger has handled complex estate litigation matters including an estate dispute involving a Taiwan industrialist who was the 178th richest billionaire in the world, who died intestate in New Jersey. The dispute involved jurisdiction issues, and the interaction between US and Taiwanese law. Mr. Griffinger also represented the shareholders of a multibillion-dollar, family-owned company in a contentious dispute over control of the company. The dispute included successful trials in New Jersey, Puerto Rico, and a later dispute before the Delaware Court of Chancery. Mr. Griffinger has defended many Securities Exchange Act and shareholder derivative suits over the course of his storied, 40+-year career. Recent relevant matters include filing an individual federal securities action against Peter Madoff on behalf of the Lautenberg Foundation, and family interests. He has also handled numerous Rule 10(b)(5) and Section 20 cases including derivative and class actions brought against corporations and Boards of Directors. He was on the winning side of a derivative litigation that led to a landmark decision from the New Jersey Supreme Court. Mr. Griffinger has considerable experience in corporate reorganizations under former Chapters X and XI as well as current Chapter 11. As counsel, he has successfully guided numerous reorganizations, including: a publicly-traded company, Imperial “400” National, Inc., that ran a national hotel chain; New Jersey’s second largest bus line; and the first New Jersey casino to successfully come through a Chapter 11 proceeding. He counseled the Trustee in proceedings in Delaware in the Marvel case, and has litigated bankruptcy issues in the 1st, 2nd, 3rd and 9th circuits, as well as in Bankruptcy Courts and District Courts in numerous jurisdictions. Mr. Griffinger has been appointed by the United States District Court as trustee in two securities firm liquidations pursuant to the Securities Investor Protection Act of 1970, as amended, including the SIPC proceeding related to the largest over-the-counter broker-dealer liquidated under the Act. He has conducted investigations of major corporations involving fraud, accounting irregularities and breach of fiduciary duty. He has lectured at the Annual Bankruptcy Litigation Institute and at various American Bar Association and New Jersey State Bar Association programs. Mr. Griffinger’s service to the judicial system is long-standing and impressive. 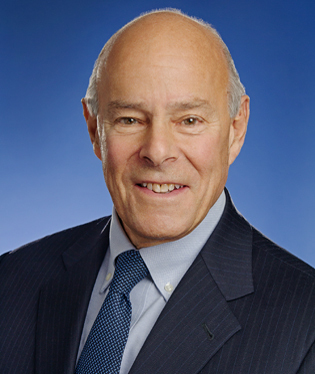 In recent years, he has served as Chairman of the Judicial and Prosecutorial Appointments Committee of the New Jersey State Bar Association; Chairman of the Board of Volunteer Lawyers for Justice; and Chairman of the Board of Legal Services Foundation. In the broader community, Mr. Griffinger has served on the Board of Directors and Executive Committee of the New Jersey Performing Arts Center since 1995, and he founded the Fresh Air Fund Games. Recognition for his outreach efforts has been extensive. For example, in a single year, Volunteer Lawyers for Justice bestowed on Mr. Griffinger its “Champion of Change” Award; Trial Attorneys of New Jersey its Trial Bar Award; and the Association of the Federal Bar of New Jersey its William J. Brennan, Jr. Award.